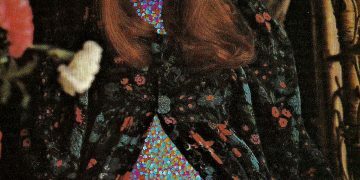 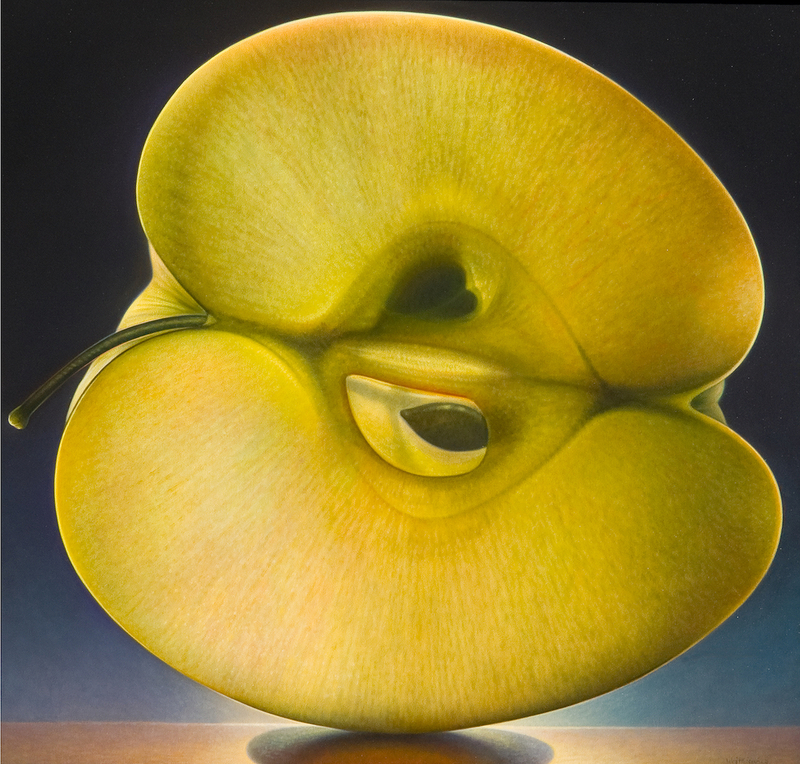 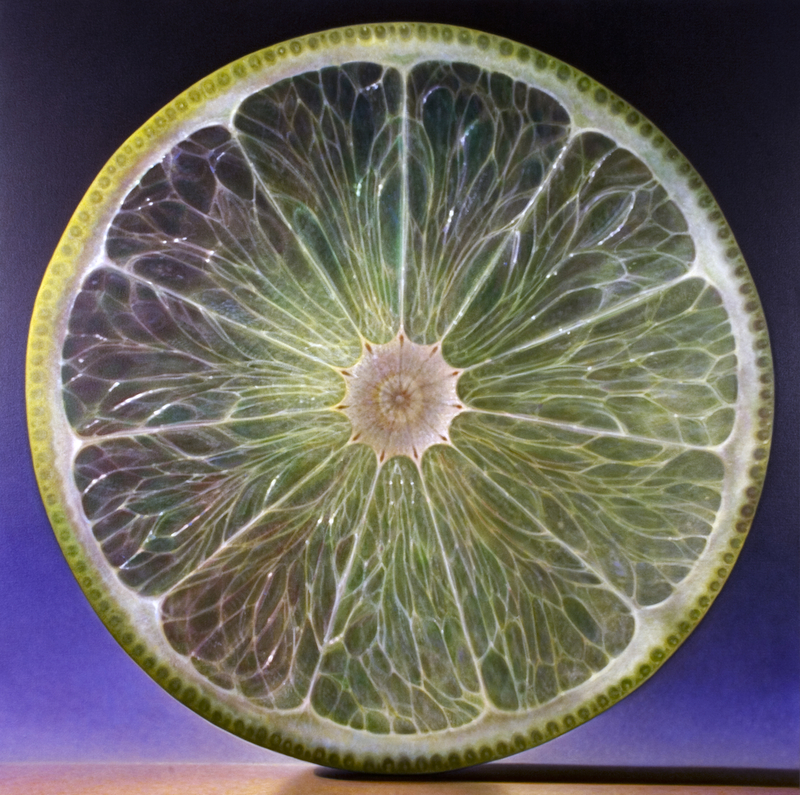 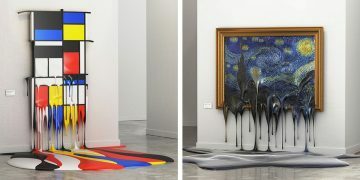 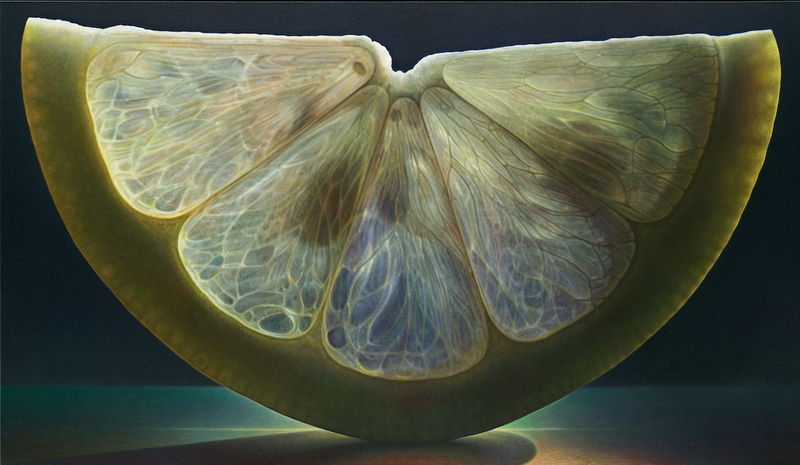 Dennis Wojtkiewicz paints luminous portraits of sliced fruit that have the luminosity of stained glass windows. 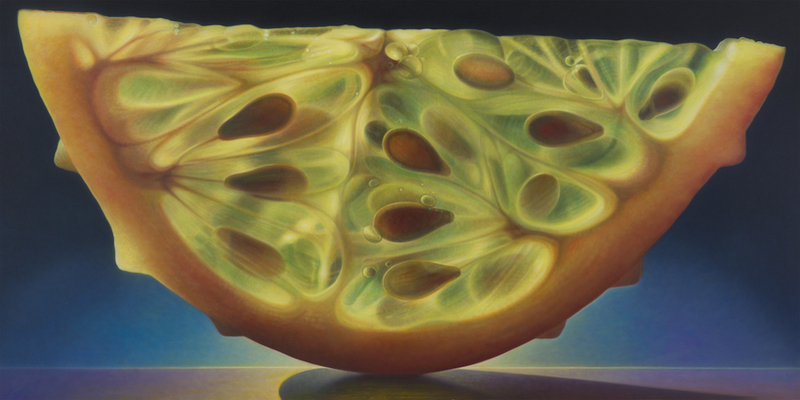 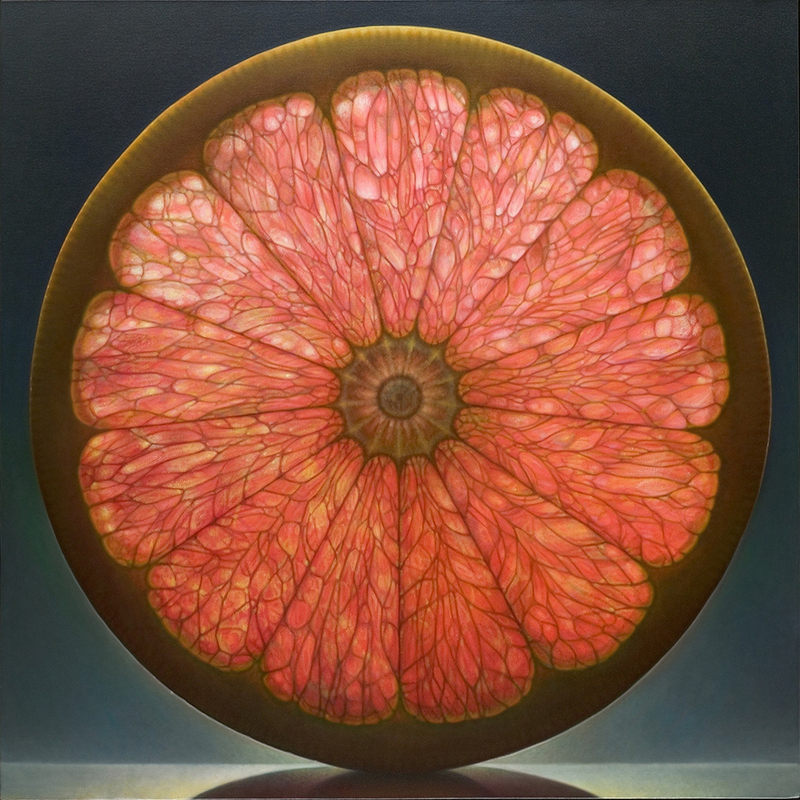 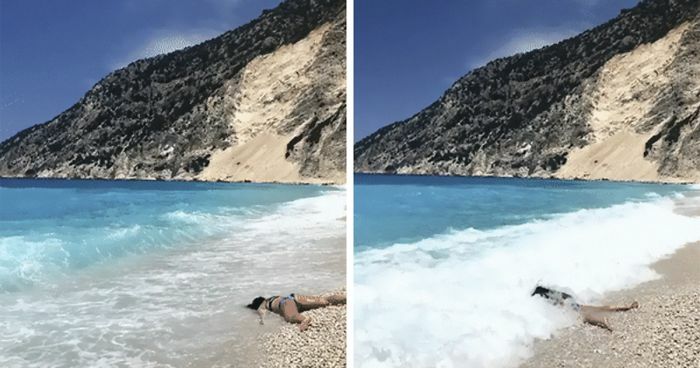 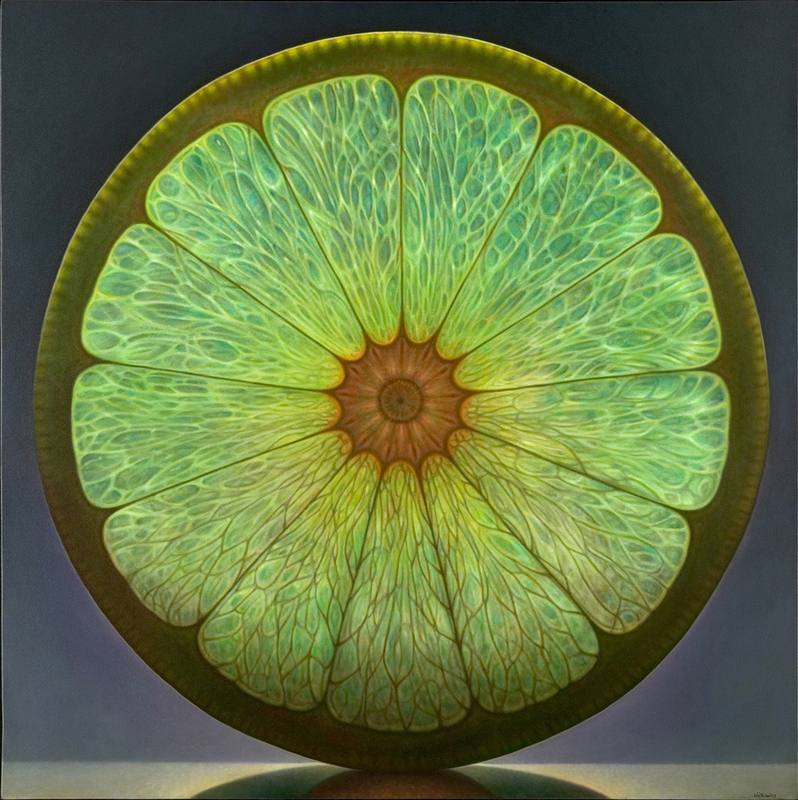 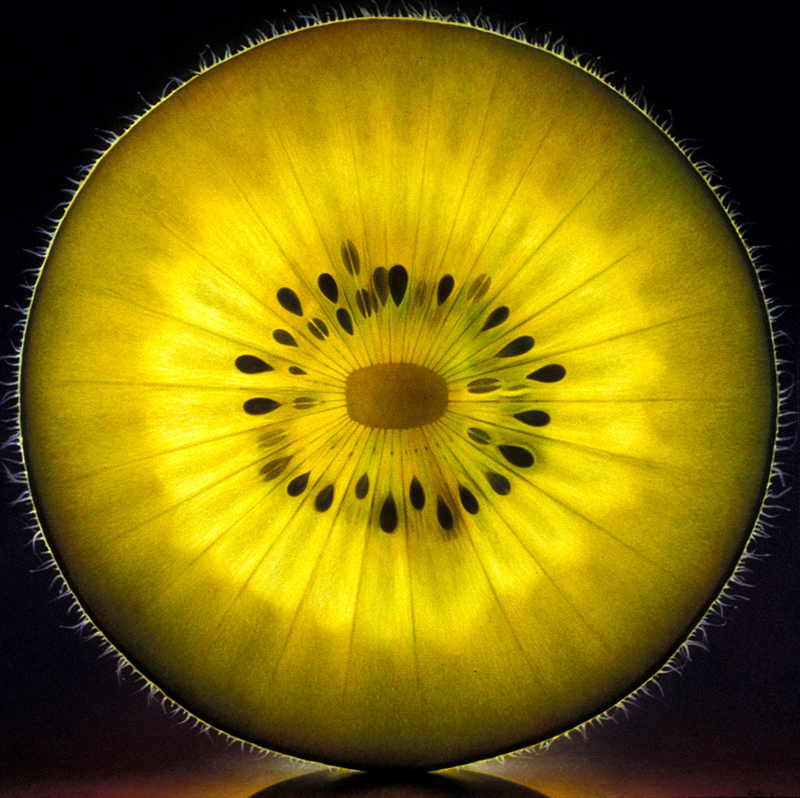 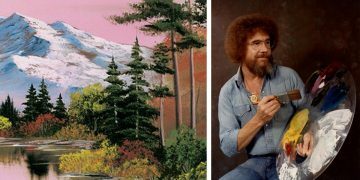 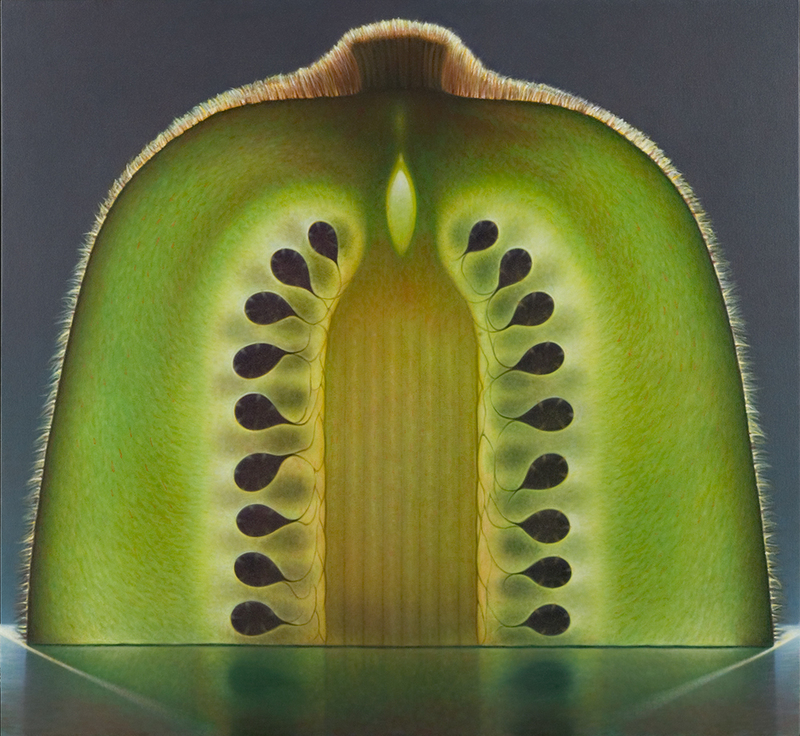 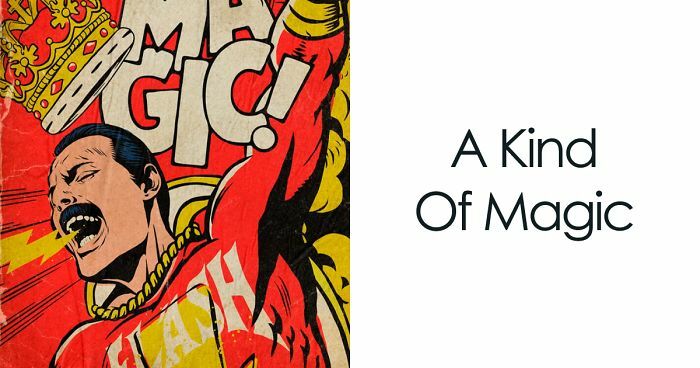 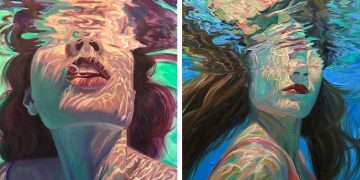 His oil on canvas paintings focus exclusively on the edible subject, with dramatic backlit lighting seeming to light up the melons, citrus, apples, and kiwis. 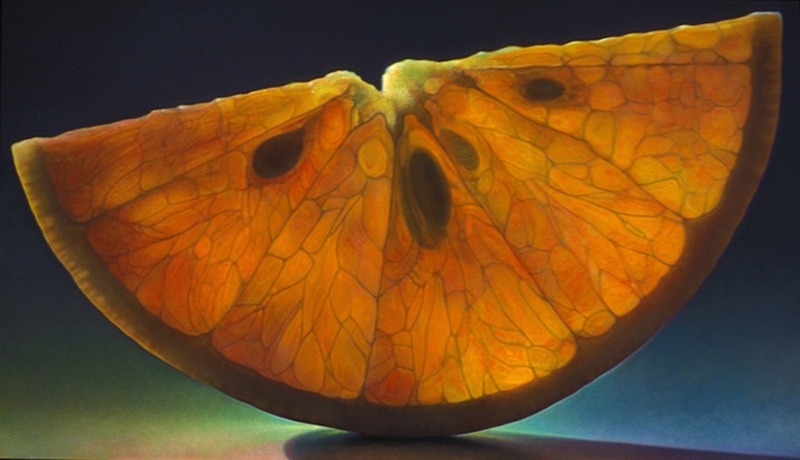 Wojtkiewicz works feature tiny details like individual segments of juice, striations, and the fuzzy skins, however this realism is tempered by a slightly hazy, impressionistic finish.